Horizonte operates a comprehensive health and safety program to ensure the wellness and security of all its employees. The control and eventual elimination of all work-related hazards requires a dedicated team effort. The Safety program is regularly updated to incorporate employee feedback, lessons learned from past incidents and new guidelines related to new projects. The Company operates under six golden rules aimed at mitigating the majority of health and safety risks. 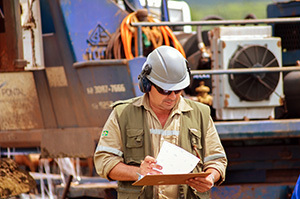 Annually, Horizonte management provides a detailed in-house review of the Company’s health and safety program hand in hand with all members of the Brazilian exploration team. In addition, the Brazilian exploration personnel attend accredited independent courses in first-aid, risk assessment, fire combat and defensive driving. In 2018 the Company will bring in external consultants to review and further improve our health & safety procedures.